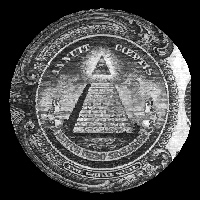 The Plan of The Illuminati (The Hidden Elite of Power) Is To Bring HILLARY To Power as President of The United States. They want HILLARY to Systematically Disarm America To LIMIT Armed Resistance To The Coming NWO of Lucifer (see Plan of United Nations). HILLARY Will Flood America with At Least 250,000 to 500,000 SYRIAN REFUGEES. This Will Trigger Waves of Terror Attacks as We See In Germany & France. Attacks with Bombs, Machetes and Knives will be downplayed as "random acts" Of Violence. Terror Attacks Using GUNS will be blamed on "GUN VIOLENCE" and more moves To Disarm America- UNTIL CHAOS EVENTUALLY EXPLODES. VIOLENCE AND CALLS FOR "GUN CONTROL". THE BIBLE CODE WARNS... HILLARY WILL WIN THE 2016 ELECTION AND BE THE USA PRESIDENT WHO WELCOMES & ACCEPTS ANTICHRIST IN HIS UFO ARRIVAL- JERUSALEM... AND THE BIBLE CODE WARNS TRUMP COULD BE ASSASSINATED AS A LAST RESORT TO BRINGING HILLARY TO POWER. EVEN IF DONALD TRUMP SOMEHOW WINS? HE TOO HAS A "CHAOS AGENDA", TO DEPORT 12 MILLION MEXICAN MEN, WOMEN AND CHILDREN, USING A NAZI-LIKE DEPORTATION FORCE, FEMA CAMPS AND AMTRAK TRAINS. THIS TOO WILL TRIGGER MASS CHAOS ACROSS AMERICA... AND WHEN CHAOS EXPLODES ACROSS AMERICA, RUSSIA PLANS TO HIT USA WITH AN EMP BLAST... POWER GRID TAKEN DOWN AND AMERICA SHALL EXIST NO MORE- AS THE MUSLIM WORLD COMES AGAINST ISRAEL AND THE APOCALYPSE IS TRIGGERED. COPYRIGHT © 2002-2016 HARRY WALTHER & SATANSRAPTURE.COM ALL RIGHTS RESERVED and COPYRIGHT © 1997-2016, HARRY WALTHER & ESCAPE 666 BIBLE PROPHECY REVEALED, All Rights Reserved.